Save 20% on multiple dance camps if you register by May 12! Purchase a dance camp at the normal tuition, and receive a 20% discount on all other camps of equal or lesser value. This applies to an individual student or as a family. The highlight of our summer session begins with the NCDI Summer Showcase. This two-week dance intensive features high-energy contemporary choreography by NCDI faculty and guest artists. Dancers are selected by audition to collaborate in the process of creating original dance works for the 2019 Summer Showcase, "PS I ❤ U2". Choreography will be set to the music of Paul Simon and U2. The Summer Showcase gives young dancers insight into what it takes to quickly develop complex choreography and all the aspects of theatrical development for the stage. Selected intermediate/advanced dancers will work closely with Summer Showcase c0-directors, Kirstie Spadie and Sarah Putterman, and the process culminates in a performance on stage at Wakefield Auditorium. The Summer Showcase is a great performance opportunity for NCDI dancers, and is open to other dancers in our community. Acceptance is subject to approval by audition. Non-NCDI students are required to audition or take a placement class during the spring semester. Auditions are held at NCDI Jan 26 and April 6, 2:00pm-3:00pm. Contact Sarah at sarah@ncdanceinstitute.com for more information. The Ballet & Contemporary Choreo-Lab is an in-depth week of ballet technique and contemporary dance in an exciting, full-day combination intensive for intermediate to advanced dancers. The morning begins with core ballet fundamentals that aim to provide each dancer a solid technical foundation upon which to push themselves to their fullest potential. After lunch, our highly popular contemporary choreo-lab leads dancers to explore elements of creating their own choreographic styles while learning improvisational techniques, partnering, composition, and cutting edge choreography. The week culminates in an in-studio presentation on Friday, July 19, at 2:30pm. This presentation will include four new works, along with solos, duets, and trios created by the students. Classical ballet attire is required (black leotard/pink tights), with hair worn in a bun. Contemporary attire includes black tights or leggings, a black tank top, and black socks. Knee pads requested. Dancers should bring healthy snacks and a packed lunch for the 30-minute lunch break at NCDI. Non-NCDI students are required to take a placement class during spring semester. The Contemporary Basics Boot Camp is focused on the beginner to intermediate dancer for body awareness, enhancing technique, and exploring cutting-edge contemporary styles. NCDI contemporary instructors focus on exposing young dancers to the many facets of contemporary dance styles, including weight sharing partnering, inversions, and contemporary dance concepts including improvisation techniques. This in-depth intensive can be paired with the morning Ballet Basics Boot Camp to give dancers a full-day camp with lunch at NCDI. Students often take the Ballet Basics Boot Camp followed by Contemporary Basics Boot Camp to have a full-day camp opportunity with lunch at NCDI. 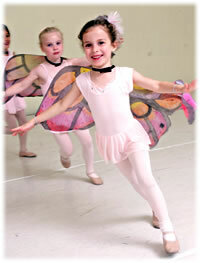 Designed for the young dancer eager to have a Summer Ballet Intensive experience. This week-long ballet intensive focuses on body stance, challenging sequences, and learning fun classical choreography. Our faculty is delighted to offer this experience for dancers who want to enhance their skills in the summer. Students recommended for Pre-Pointe classes for Fall 2019 should participate in the Pre-Pointe Primer. Pointe shoes should be purchased, fitted, and sewn prior to the primer. Please e-mail Kirstie for placement questions. Broadway bound? You need training in singing, acting, and dancing! This action-packed workshop has it all, covering the "Triple Threat" techniques needed for success in Musical Theatre. Students learn choreography from Broadway musicals, including "Hamilton", "Fosse", "Bring It On", and "Hairspray". The Triple Threat Broadway Workshop includes learning two monologues, an audition song, and upbeat choreography. It features informational seminars on getting a talent agent, headshots, resumes, and creating a book of songs for auditions. Learn what it takes to make it in show business! This is one of our most popular workshops and sells out every summer. Sign up today! NCDI Instructors Ronnie and Victoria lead the coolest camp for your kid this summer! Learn the hot moves on the hip-hop dance scene. Ronnie is one of the hottest choreographers in the triangle and brings his unique style of movement exploration to current music. Victoria is the QUEEN of funk, and students love her fast-paced moves! North Carolina Dance Institute offers an imaginative and creative arts camp that explores the adventures of Mary Poppins, Disney's famous nanny. Fantastical things happen in her care! Each fun-filled day will feature dancing to the songs from Mary Poppins Returns, "Can You Imagine That? ", "Trip the Light Fantastic", and "Nowhere to go but up". The children create story books, art work, and finish the week with a special mini-performance for our parents and grandparents at 11:00am. The day wraps up with lunch bunch (please provide a packed lunch for your dancer). Pink leotards, skirts, tights, and leather ballet slippers are required. This is an inspiring summer camp experience for the budding young artist who loves to dance! Don’t wait - Our children's camps sell out!